How can you be even better than you think without an awesome pair of Aviators to let everyone know just how unbeleivably awesome you are? 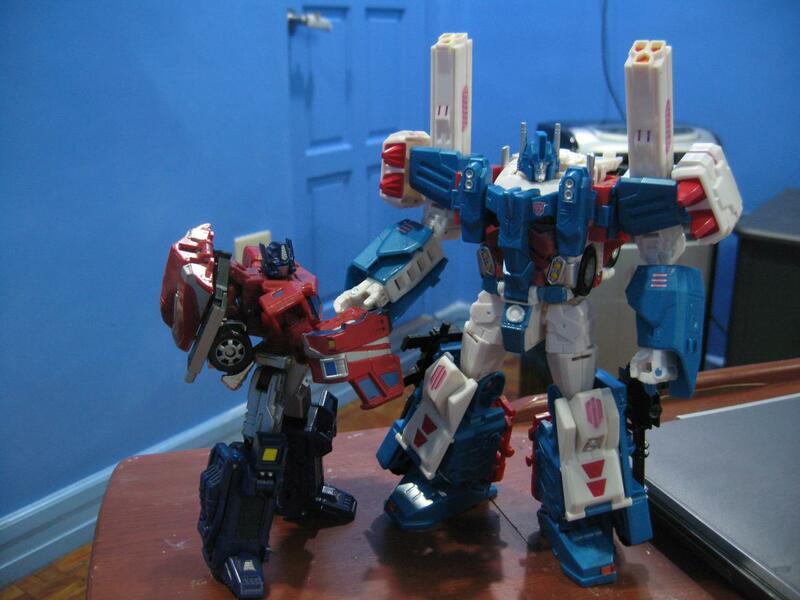 Prime looks okay in robot mode, but his var mode is extremely dull. 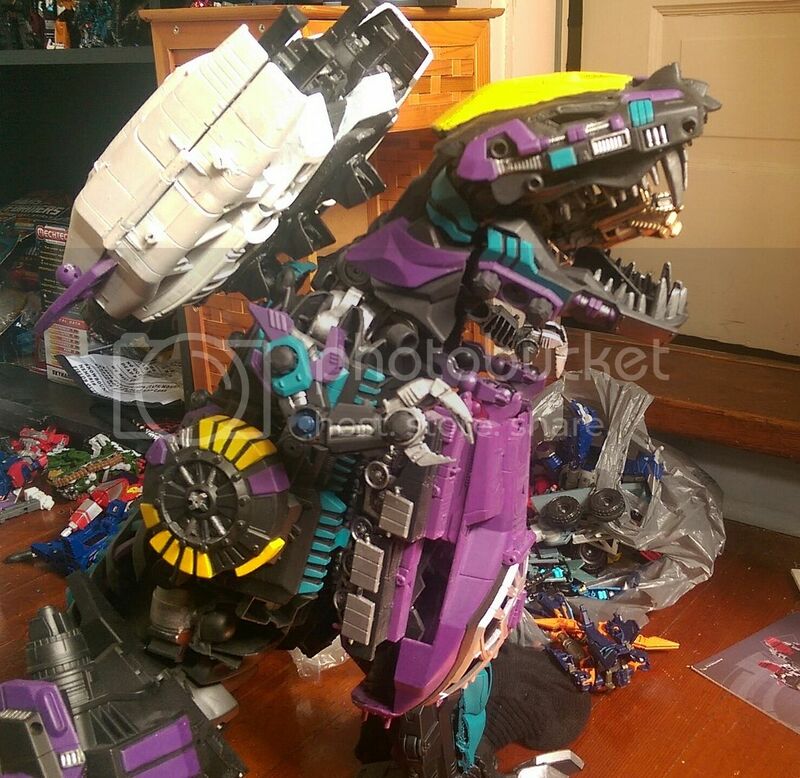 Megatronus is pretty cool, with a fun transformation. 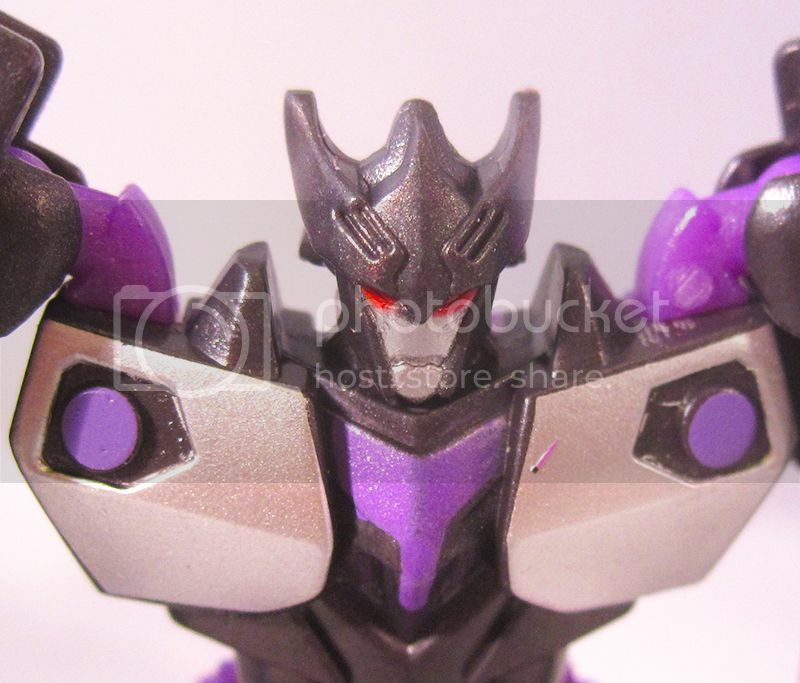 I really like Megatronus, but his colors are a liiiiiiiiiiiiittle too Barricade in layout for me to not immediately think of Barricade. Of course, I'm usually thinking of Barricade. 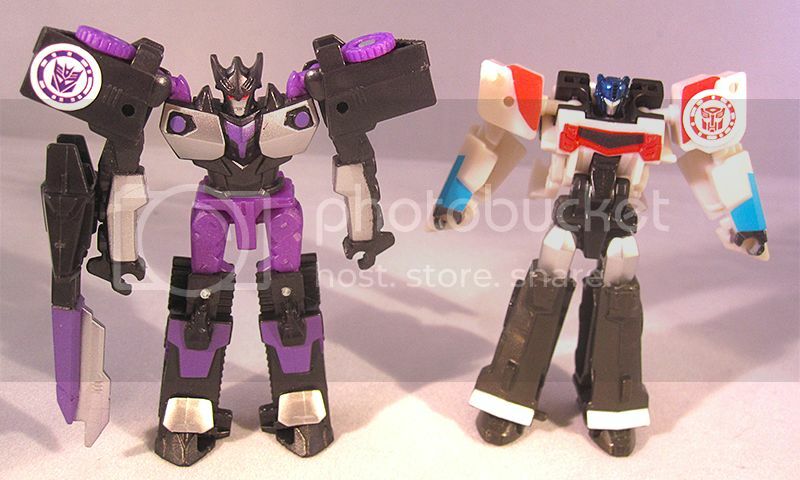 That Megatronus is getting repurposed as a fem-bot in my head, don't know why but it just strikes that chord with me. Dunno who yet. It's the Airachnid-esque horned head. Those plug things are sweet Skyquake... do you have any shots with wing sabre added on in the other configuration ? cause that's the way I tended to use him. 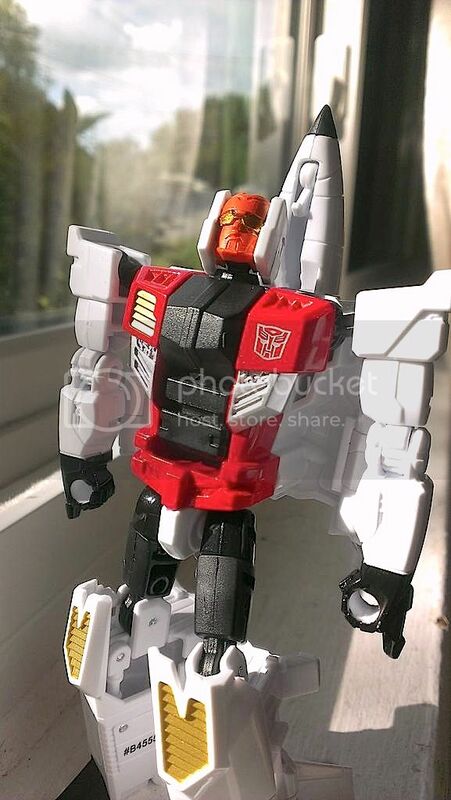 Like this, Energon Magnus won't fit on top, unless I modify the design of the plug to go out further (which would make it look like too much of gap in between shoulder, and body in other configurations). However, if someone wanted to buy such a plug for that single purpose, I could accomodate. 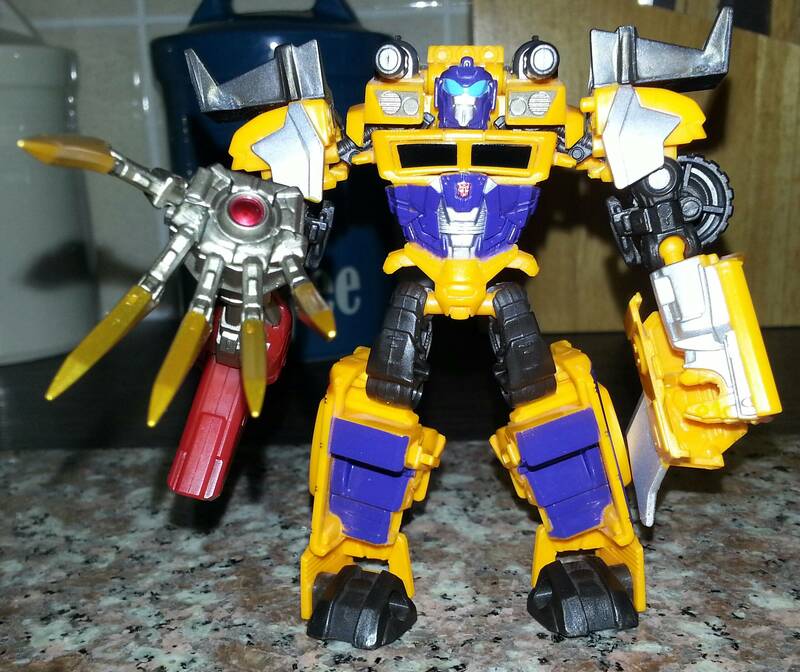 As is, he looks pretty darn formitable. 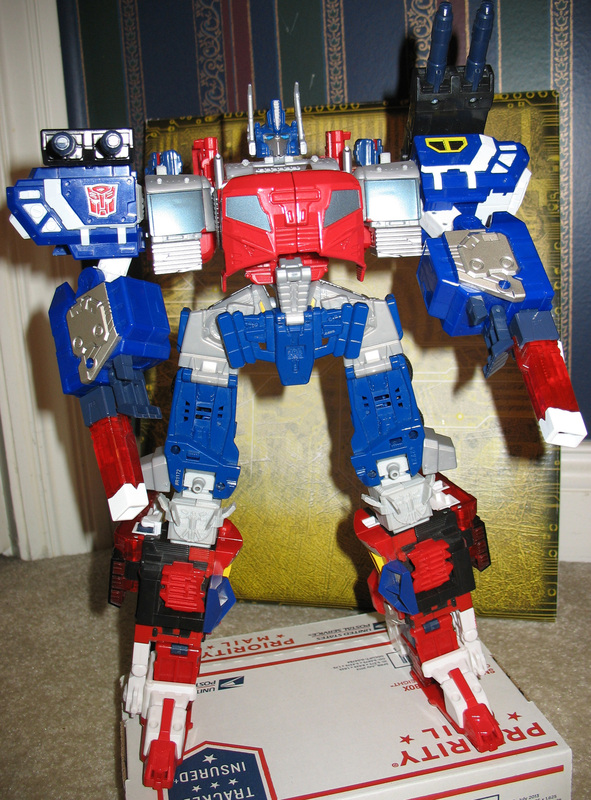 Stop making me want CW Prime. 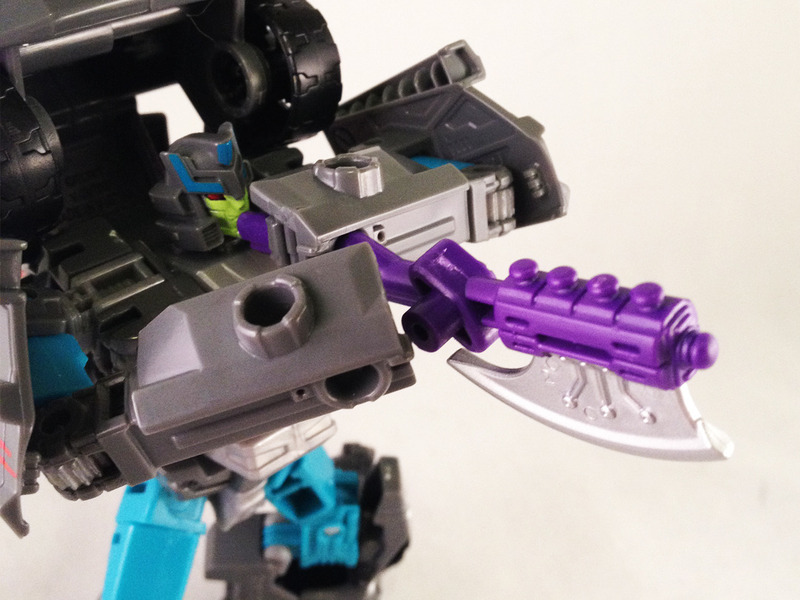 Offroad (who is not new and has always been there)'s axe reads much more like a bladed battle clarinet to me. If he turned it sideways, could he summon Dragonzord? I read that as "If he turned into Sideways..."
Don't be ridiculous. Where would all the spider legs come from? How else would the Cons summon Devastator? Knowledge combined with experience are the building blocks to enlightenment. From her helicopter rotor blades, of course. Edited by Sabrblade, 28 May 2015 - 11:57 PM. Since the real dead end will be here soon, That's probably how I'll pose the guy. 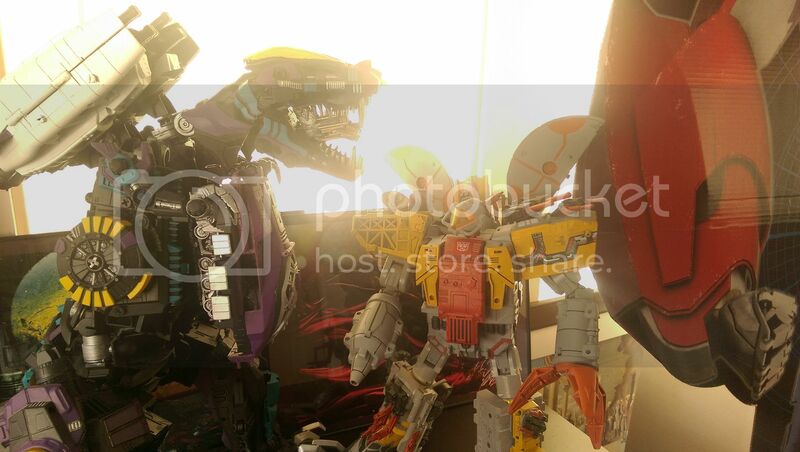 Summoning Trypticon. Edited by Solarstorm, 29 May 2015 - 12:06 AM. "Experimental limb replacement psychotherapy helped me appreciate that on the one hand things might look bad but on the other hand shiny gold bladed radiation wave death." Very glad I pulled this guy out of storage since I'm not buying CW Breakdown. Not so glad I didn't buy Oil Pan. That is one giant monolith of glory. Jokermobile underbite is compelling, but I don't need that BB (is he supposed to look like a specific G2 character? That scheme is familiar); I'll just get the single release underbite. 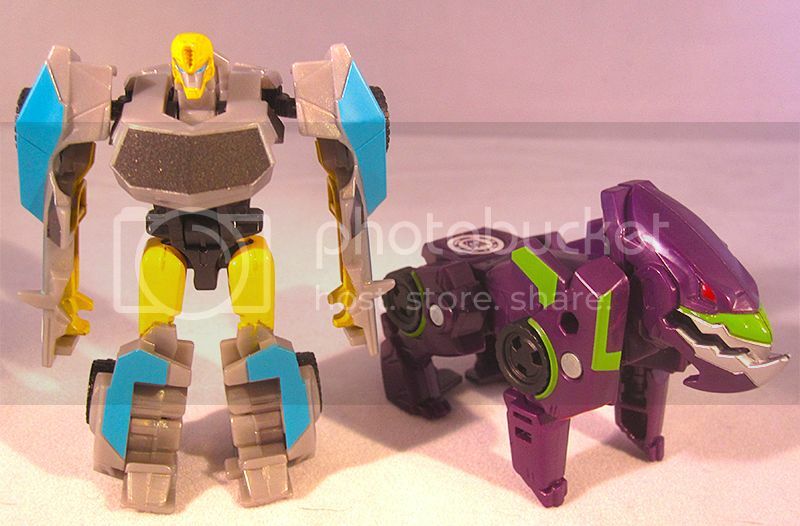 I will get that Megatronus/Optimus set. TF Roll Out Short Comic #2 Is Up. TF Roll Out Mini Comic 1 is here! 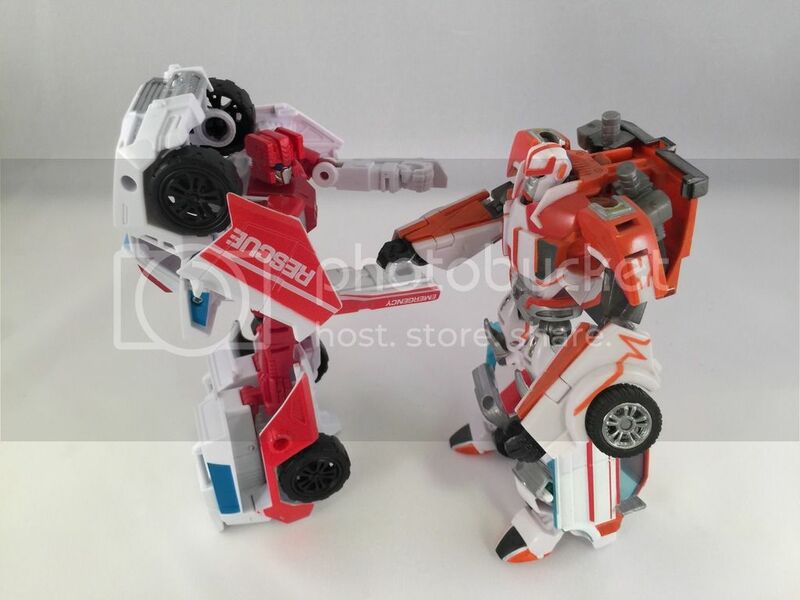 TF Roll Out Story Blurr is Enciente Part Two and Three are up.